Hailing from Newport, Rhode Island, Sam Fitzgerald splits his time between sailing anything he can get his hands on and his independent naval architecture firm. This 26 year-old is in his rookie short-handed offshore season, racking up more than 3,000 miles. 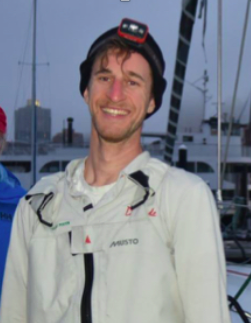 Sam is part of the Infinity Project, a new youth initiative to develop young offshore sailors in the US. This aspiring young sailors raced the USMMA Sailing Foundation’s Class 40, First Light, in the 2018 Offshore 160 regatta. The fleet of 23 boats (all single-handed) started from Goat Island in a building 10 knot sea breeze. First Light punched off the start line in first place extending his lead throughout the leg. 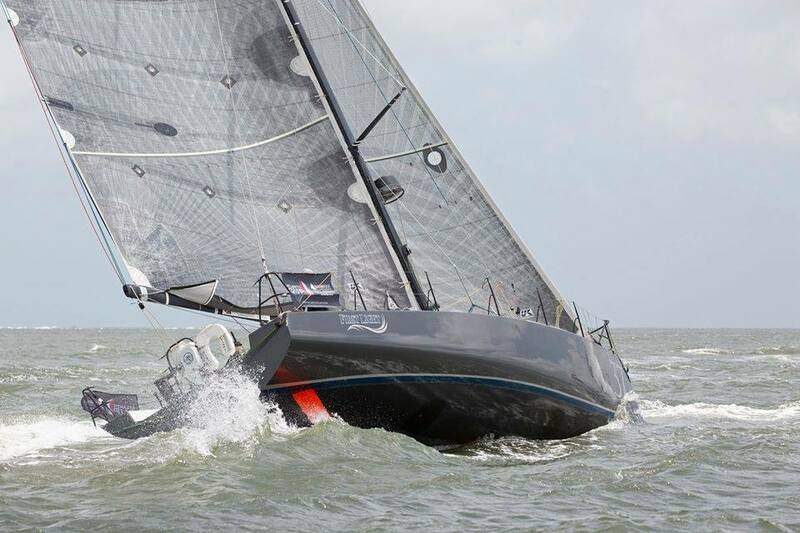 Leg 2 was champagne sailing for Sam and the Class 40, averaging 10 knots of boat speed. As night fell over the fleet, the breeze began to die but First Light continued to hold the lead of more than 10nm over the next competitor. The lead was needed at Mark 2, Gay Head Light. With calm breezes and 2.5knots of adverse current, Sam watched the fleet begin to catch up. After 4 hours of drifting, the breeze finally picked up to 5 knots but his lead was whittled down to half a nautical mile. With the last leg as a light downwind stretch from Gay Head Light to Brenton Point, Sam played the shifts to keep what little lead he had left. At 10:46AM, Sam crossed the finish line to receive line honors with a finish time of 22h46m for the 160nm course. Being the first solo offshore race for Sam, he found the experience to be an incredible opportunity to further develop his short-handed sailing skills. Sam looks to continue the momentum planning to compete in the New England Solo Twin on July 27 and Ida Lewis Race on August 18. Sam will continue to sail on First Light with the hopes to compete in the 2019 Bermuda 1-2.